I have visited Big half a dozen times in the last few years. The Copper and Hoppy Red are personal favorites with the Scotch and IPA also being quite good. The flavored beers tend to be overly strong and honey beer too sweet. The beer is well done, staff are pleasant, and food is meh but every time I visit people are enjoying good beers with sports on TV in a low key, no stress, strip mall. Personally I couldnt ask fro much more! One word describes the Location--Small. One word describes the beer--WOW! Rick Ellersick brews several ales and one lager. It's a family business with one son doing outside sales, a younger son cooking and Rick as brewmaster overseeing the whole operation and devising new ales. The place seats maybe 50 people with two large screen TV's and a fussball machine back in the brewing area separated from the brewing equipment by a row of kegs. There is also an outside Beer Garden, but since it was about 34 degrees and foggy on my last visit I and my buddies elected inside. I had the Scotch Ale. Oh, my, heavenly and 7.2 ABV. It has got to be one of the smoothest beers I've ever had. My friends tried the IPA at 6.5 ABV and pronounced it excellent. We stayed away from the 2 pint IPA at 9.5 (and they will only serve you 2 pints) as we were all driving. The Copper ale and the Belgian Wheat also got high marks. That leaves me omly about 5 ales and one lager to try my next visit. The food menu is very limited. Three or four sandwiches, wings, fries, and buckets of peanuts. Thats OK as we weren't there for the food anyway, just the excellent beer. 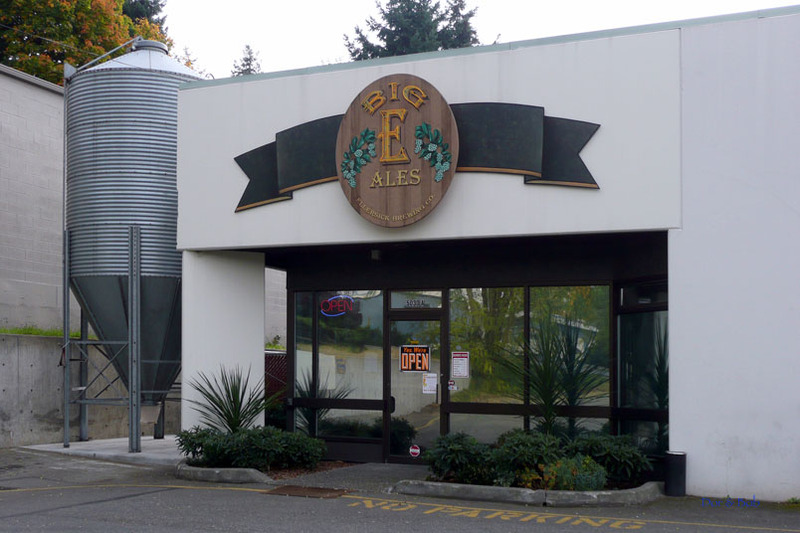 Big E Ales has a very good selection of a wide range of beers (mostly ales). All the beers are brewed on location. There were 11 to choose from plus root beer on our visit. 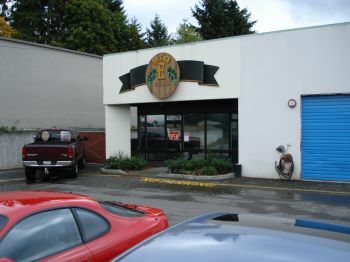 The brewery and tasting room are at one end of a small business/office park strip mall in a nondescript neighborhood. Inside, the overall impression is â€œunfinished basementâ€ with stained concrete floors and exposed floor joists on the ceiling. Corrugated metal lines the bar and the bottom half of the walls. There are nice black metal bar stools along the bar and black metal & wood tall chairs around the tall wooden tables throughout the space. There are also several big TVs and a radio playing. A large plate glass window at the back shows off the working brewery behind the tasting room. 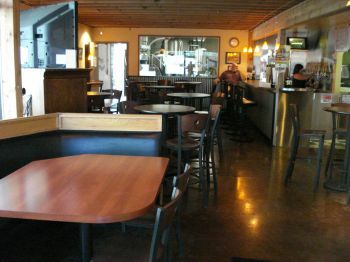 The atmosphere was friendly and welcoming, however, and it felt like a good local hang-out and a real working brewery. The food menu is limited (several sandwiches and miscellaneous traditional appetizers) but well made (if a bit heavy on the cheese). There are very few of us who can claim we built a business from the ground up...and ten years later, still be in business. 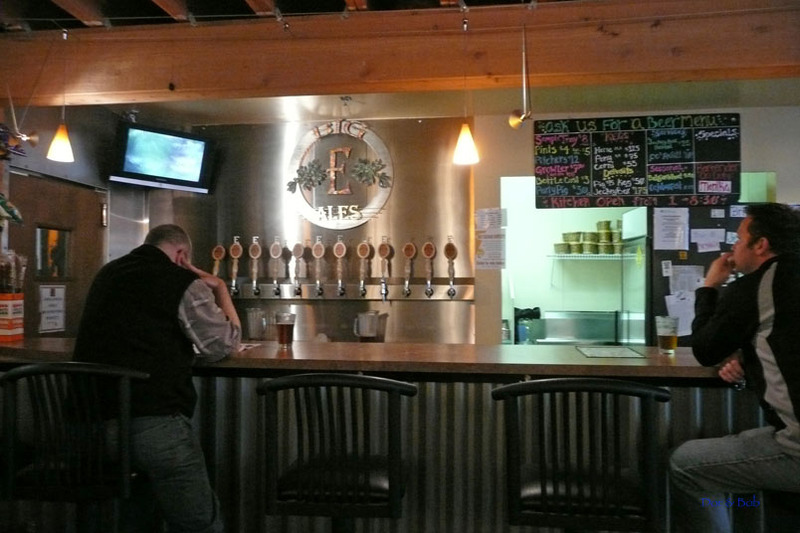 Ellersick Brewing (or Big E's Ales) is a case in point. Rick Ellersick loved beer and wanted to spend his days and night immersed in the world's #1 beverage. So, with the help of family and friends, he scoured the Eastside of Seattle (East of Lake Washington) for a place. He found it off the beaten path in a small industrial mall sandwiched in a residential section in the Lynnwood neighborhood and there, bought and brought in mash tun and fermenter kettles; built the pub, bar and bathroom; put in a couple of TV's, tuned in the sports and tapped his first keg...and has kept the beer flowing for 10 years. He likes to keep 10 on tap at all times and recently introduced his Baby Bottle Growler; a half gallon dark container with plastic innards so air is blocked from contaminating the brew and keeps all who suckle there extremely happy because it seems that the beer never runs out! Cream Stout, Lawnmower Lager, Honey Wheat, Martzen and Copper Ale are all outstanding but the Scotch Ale....Oh, my! The Scotch Ale! There really are no words to describe the multi-levels in this brew with flavors that burst forth from the first to the last delicious quaff. I was reminded of an old cartoon from the 1960's. A dog who did anything for the promise of a dog biscuit, when his reward was won, took a bite, hugged himself, moaned happily, threw himself many feet into the air and settled back to earth, like a feather, gently on his back. Or, as wife Persimmon said, she would keep Rick's beers in the fridge in order to satisfy the taste of any company. "Stout? Got it. Copper? You bet! Hefe? But of course." 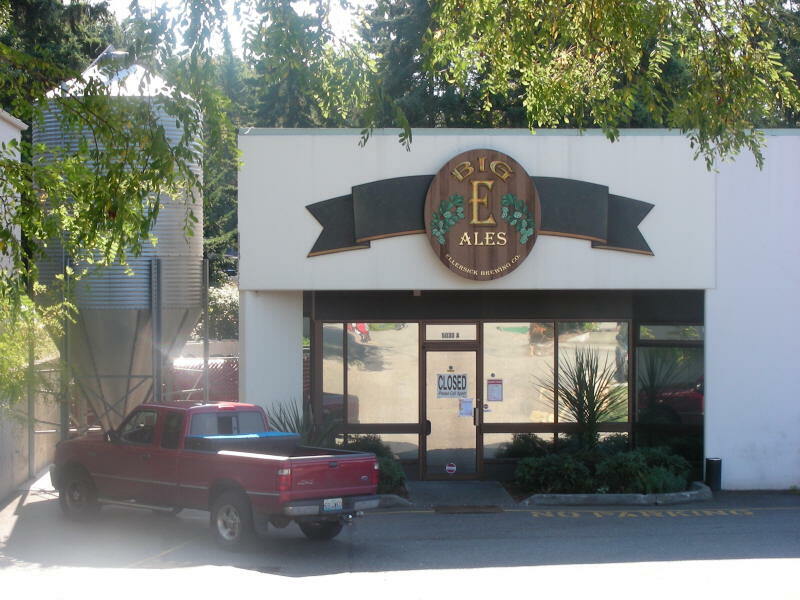 Few eats here; Big E's is NOT a restaurant but more a sports pub with burgers, fries and such. People who have found this place, don't talk about it much. It's like their own living room and they prefer it not to get too crowded. Still, seek it out and do stop by. Come by at Halloween in costume and win a free beer...although you'll have to go a long way to beat 2007's winner; Jim came dressed as Dawg the Bounty Hunter's wife. 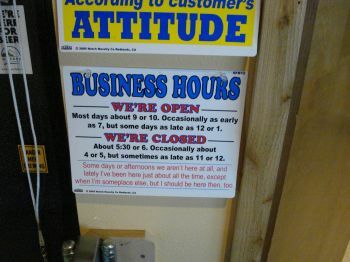 Or arrive for the Christmas Party...or New Year's Eve...or anytime 'cause at Big E's, the welcome mat is most definitely out.